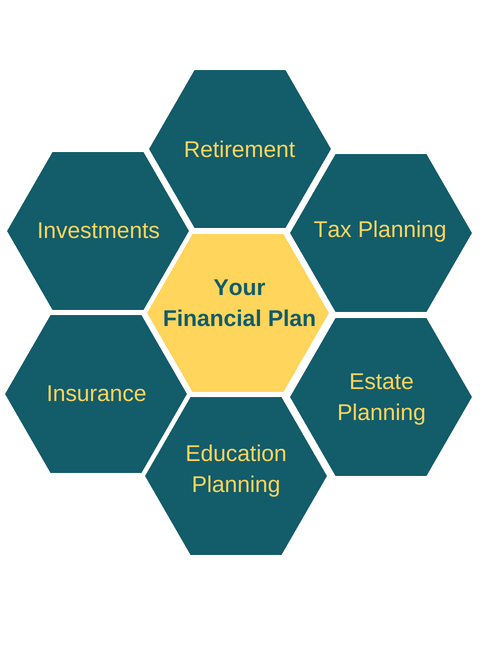 Navigating your financial plan can be overwhelming. We’ll guide you through those tough decisions and stay ahead of changes. As one decision impacts others, we’ll create a plan that is cohesive to your life. Let’s make smarter financial decisions. Are you saving enough for retirement/could you be doing more? Can you reduce the amount of taxes you pay? What should you be doing with an estate plan? Should you pay down your student loans vs. save more for retirement? What are the things you should do before your child applies for college? Schedule an initial call or meeting to discuss Solari Financial Planning’s financial planning services. Initial Financial Plan – over our initial 2-3 meetings we’ll work with you on your short and long-term savings, investments, taxes, insurance, company benefits, college planning, student loans, and estate plan. After the initial plan, we’ll work with you on implementing your plan. Semi-Annual Reviews – during the year we’ll check in to make sure things are moving forward. We’ll also meet twice a year to review how things are going. As Needed Meetings – life doesn’t always happen as scheduled. That’s why we are available when you need us. Unscheduled bonus, getting married, or switching jobs? We’ll meet with you as things change quickly. This is our proactive approach. Solari Financial Planning is dedicated to providing personalized, fee-only financial planning and investment management services. With years of experience, we have the insight and knowledge required to assist you in planning for your future or developing an investment portfolio customized to your financial goals. To learn more about how our approach can benefit you, contact Michael Solari directly at (603) 471-3088 or schedule a complimentary initial consultation.